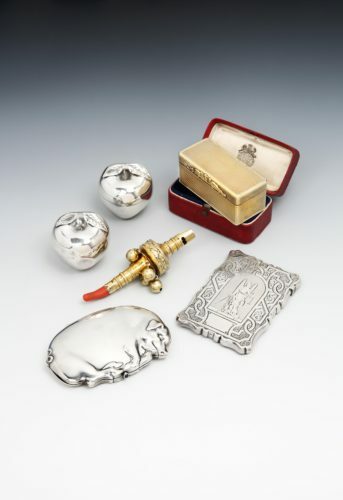 A pair of Apples, one a Trinket Box and the other a scent Bottle; a Silver-gilt engine turned Snuff Box in original case; Silver-gilt and coral Rattle; Card Case engraved with “Blind Justice”. 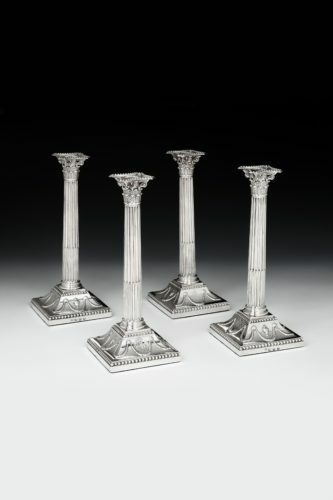 Set of four Corinthian Column Candlesticks with swag and bead decoration to base. Hallmarked for London 1772, marker John Carter. Set of fifteen Dinner Plates with gadroon shell and anthemion borders, 10.5” (26.5cm) wide and weighing an impressive 361oz (11,250g). Pair of William III Trefid Spoons, engraved IM over ID to back of stem and MS to front, marked for London 1697, maker Isaac Davenport & Pair of Queen Anne Trefid Spoons, interestingly prick initialed IT over IG over 1699, marked for Exeter 1706, maker John Elston. 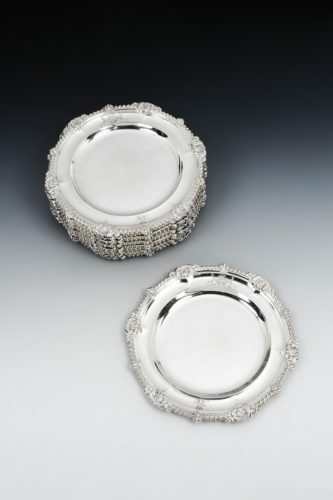 A family firm established in 1951, dealing in antique silver from the 16th century to modern pieces. 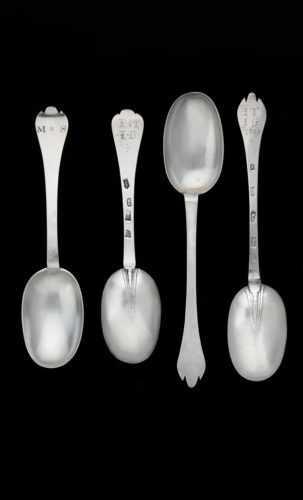 Specialising in early spoons, collectables and objects from the Georgian and Victorian periods.